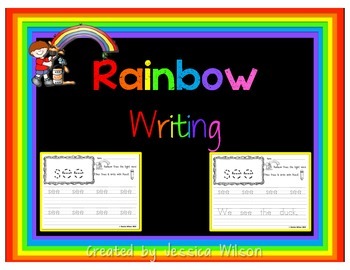 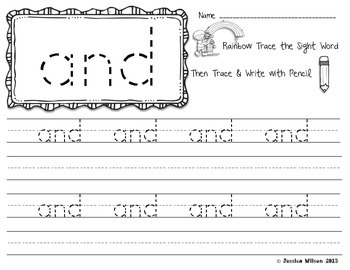 This pack contains worksheets with rainbow writing and sight word penmanship practice. 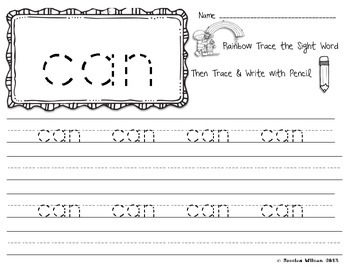 There are two versions for each word. 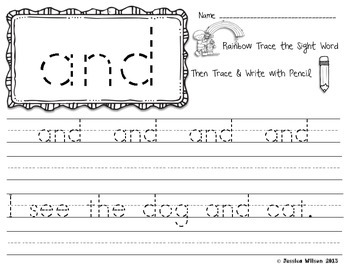 One has practice writing the word and the other has sentence writing practice as well.